Earlier this week, Israeli Prime Minister Benjamin Netanyahu announced that Tel Aviv had proof Iran lied to the world after signing the 2015 nuclear agreement. Jill Stein, the 2016 Green Party nominee for president of the United States, has denounced Benjamin Netanyahu’s accusations against Iran on her Twitter, bringing up the issue of Israel having developed a secret nuclear weapons program, and saying that Tehran has complied with every treaty. — Dr. Jill Stein🌻 (@DrJillStein) 3 мая 2018 г. While Israel is largely believed to possess nuclear weapons, it has neither confirmed nor denied the information. There've been speculations that Tel Aviv started developing its nuclear program in 1948-1949, with its first deliverable nuclear weapons being allegedly created in 1966; its purported arsenal is estimated to contain up to 400 warheads. During an internationally-televised speech on April 30, Benjamin Netanyahu claimed that Israeli intelligence had gathered over 100,000 files allegedly proving that Iran has continued to pursue a covert nuclear program, as well as materials purportedly confirming the existence of an Iranian military nuclear project, dubbed Project Amad. The prime minister accused Tehran of failing to comply with its international obligations, having concealed the program in order to use it in the future. 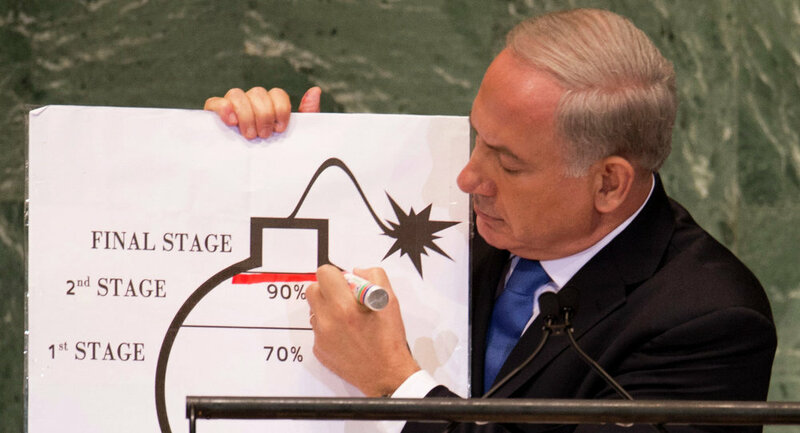 "Iran lied about never having a nuclear weapons program, 100,000 secret files proved that they lied," Netanyahu said, adding that Iran hid its archives regarding the nuclear weapons in 2017. "The Iran deal, the nuclear deal, is based on lies. It’s based on Iranian lies and Iranian deception." Commenting on the speech, Iranian Defense Minister Amir Khatami dismissed it as “Israel’s provocative actions” and promised that Tehran would respond. “This is our warning to the regime occupying Jerusalem and its supporters – stop your dangerous behavior. The Iranian response will be surprising and you will regret it,” Haaretz cited him as saying. Khatami’s remark came after Iranian Foreign Minister Javad Zarif made an observation that Netanyahu’s big speech came in the run-up to the US administration’s planned announcement regarding the Iran nuclear deal on May 12. — Javad Zarif (@JZarif) 30 апреля 2018 г.
Netanyahu’s so-called revelations come amid mounting tensions over the Joint Comprehensive Plan of Action (JCPOA), with US President Donald Trump considering unilaterally withdrawing from the treaty. Reacting to the prime minister’s speech, Trump said he hadn’t ruled out Washington leaving the deal, while other signatories – Russia, France and the UK called for the preservation of the agreement. On July 14, 2015, the European Union and the P5+1 group of countries – Russia, the US, France, China and the UK plus Germany – signed the JCPOA with Iran. The deal implies a gradual lifting of anti-Tehran sanctions in exchange for the Islamic Republic preserving the peaceful nature of its nuclear program.